The 3D experience provided by the Bose 135 Entertainment System is being promoted in Turkey with outdoor advertisements featuring film characters stepping into the pupils of eyes. 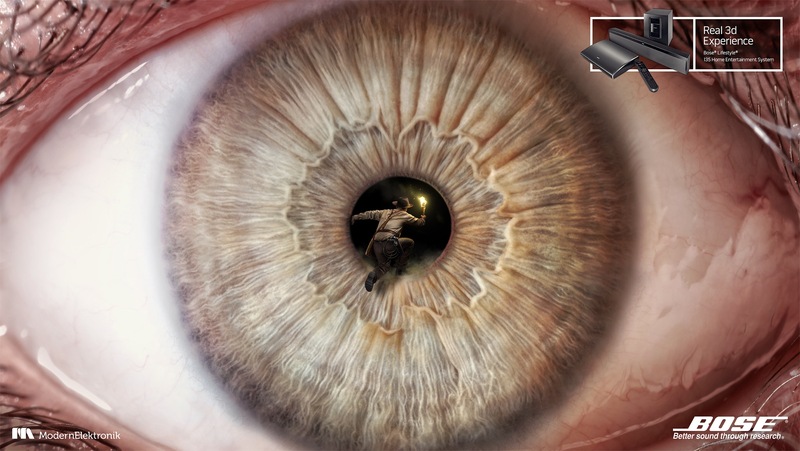 The campaign, commissioned by Bose agent Modern Elektronik, features Indiana Jones with a flaming torch and Samara Morgan (The Ring series) climbing into the eyes of viewers. 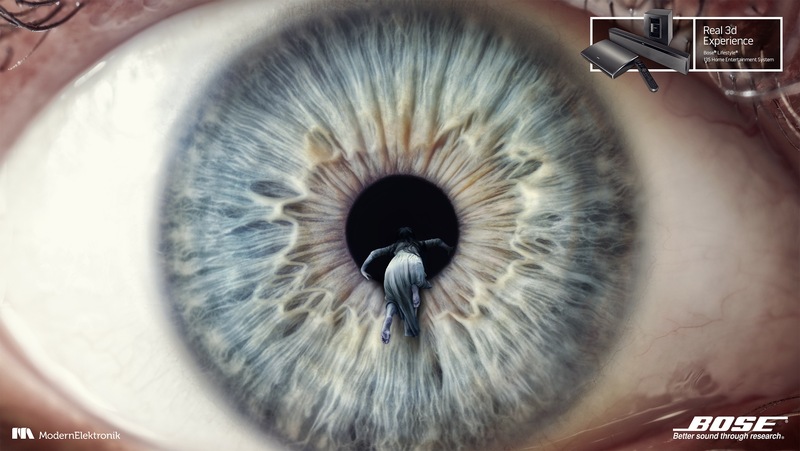 The Bose 3D Eyes campaign was developed at Medina Turgul DDB, Istanbul, by creative directors Gokhan Erol, Erdem Koksal, Ozan Can Bozkurt, art directors/illustrator Aybars Gurlu, art director Hande Ekinci, copywriter Levent Onur Ozdogan and photographer Mustafa Nurdogdu at 212 Production.